Taliban Attack Kills 17 Afghan Forces in Northeast - Integration Through Media ....! 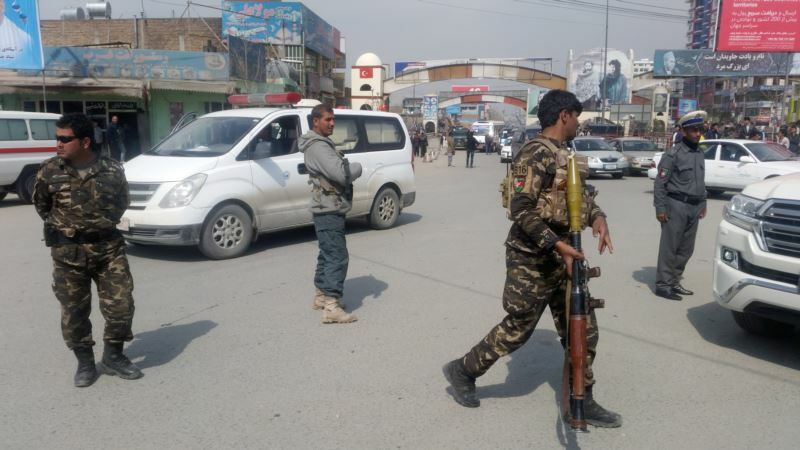 (VOA): A pre-dawn Taliban attack in northeastern Afghanistan has killed at least 17 government security forces and wounded many more. The fighting erupted in the mountainous Khawaja Ghar district of Takhar province where insurgents assaulted an Afghan army base. District chief Mohammad Omar told VOA scores of insurgents from the Taliban's so-called “Red Army” commando unit staged a surprise attack on the base and surrounding security posts. Afghan soldiers and police personnel were among the dead, he added. A Taliban spokesman claimed its fighters have overrun the base and surrounding 12 security posts, killing nearly 30 Afghan forces. Insurgent battlefield gains and casualty tolls are often inflated. Meanwhile, in a separate attack in capital Kabul today, a suicide bomber exploded his vest 300 meters away from a large gathering, killing at least 10 people and wounding 22 others, according to the Afghan Interior Ministry spokesman Nasrat Rahimi. The Islamic State terrorist group via its Amaq news agency claimed responsibility for the bombing. The fighting in Takhar comes as the latest U.S. military assessments noted the Afghan government controls or influences less than 56 percent of the country’s 407 districts, the lowest since December 2015. The Special Inspector General for Afghanistan Reconstruction (SIGAR) has released the figures as an addendum to its quarterly report released in January. The U.S. government watchdog was previously instructed by NATO’s Resolute Support mission in the country not to publicly release the data. SIGAR said that 30 percent of the country’s total districts were contested while 14.3 percent are now under insurgent control or influence. “The percentage of districts under insurgent control or influence has doubled and the percentage of districts under government control or influence has decreased by over 20 percent since 2015,” SIGAR said. Afghan security forces have also suffered unprecedented casualties in 2017 and reportedly lost around 10,000 personnel, according to a recent New York Times article.